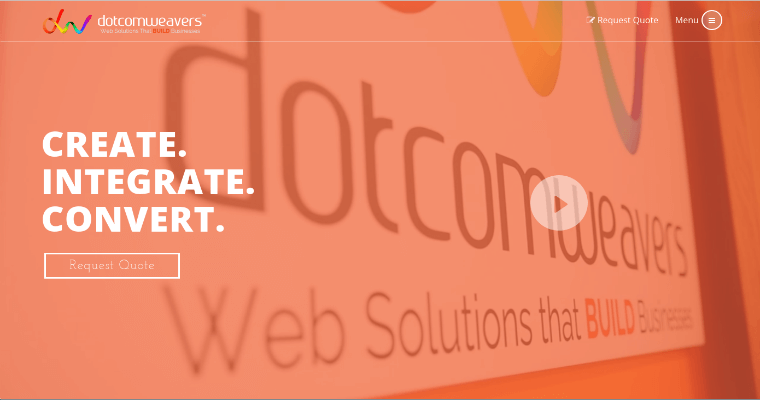 Dotcomweavers offers web solutions for small to midsize companies to ensure their ecommerce websites are successful. By understanding the clients brand and marketing strategy they tailor specific solutions to make the website user friendly and responsive in the areas of web design, web applications, seo/sem and mobile devices. Analysis of the current ecommerce website develops solutions to strengthen the online presence and increase company sales. Responsive web design allows for optimal viewing of a company’s website across multiple platforms such as mobile, laptop or tablet. Web applications integrate different elements of IT for easy communication between all software systems. Seo/sem ensures a company’s website successfully performs in organic search results translating into sales. 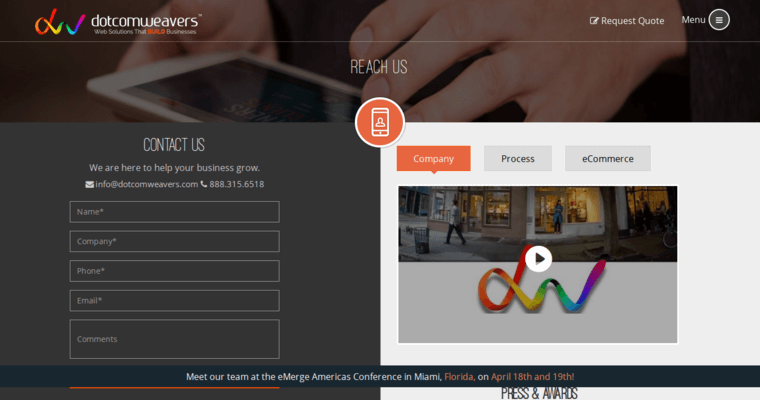 Mobile devices continue to dominate online growth and it is essential that an ecommerce website be optimized for it. 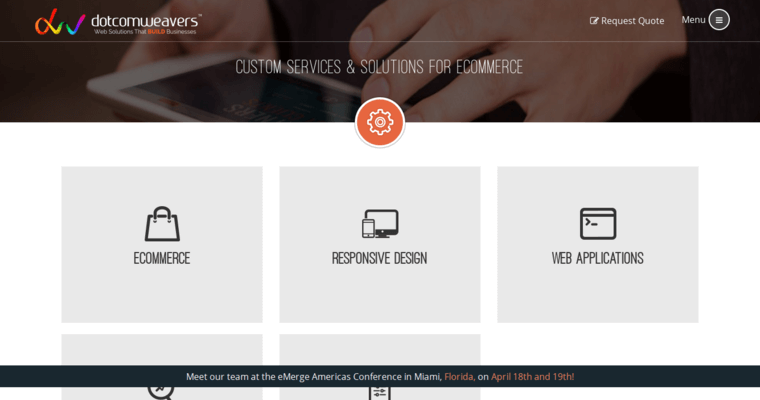 Dotcomweavers offers a free consultation to find the right solution for all ecommerce website needs.